NO pesticides required! 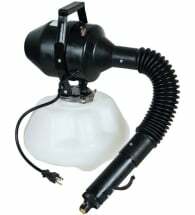 The Bug Blaster offers safe, non-toxic control of your garden pests. 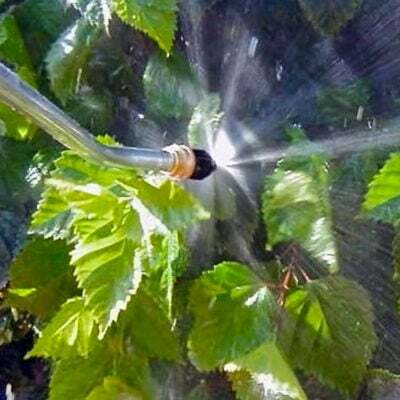 Creates an AMAZING 360° wall of water which blasts plant pests from the undersides and tops of leaves. Kills 70% of ALL adult insects and 100% of the immature or larval stages. Effectively controls aphids, whitefly, mealybugs, spider mites and more. Works as a fantastic plant cleaner, too! 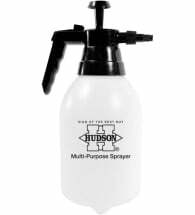 Removes mold, dust and dirt which interferes with photosynthesis. Simply hook the Bug Blaster up to your garden hose and you are ready to go. 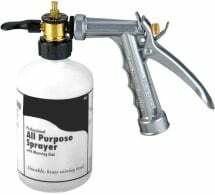 For best results, keep the spray vertical, and with a sweeping motion, work the nozzle in and out of the infested portion of the plant. 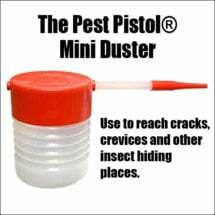 For heavy pest infestations, use every 3-5 days for two weeks.